We Make Cost Effective Biomass As Easy To Use As Fossil Fuels! Welcome to Biomass Thermal Energy Ltd.. Today is April 24, 2019. 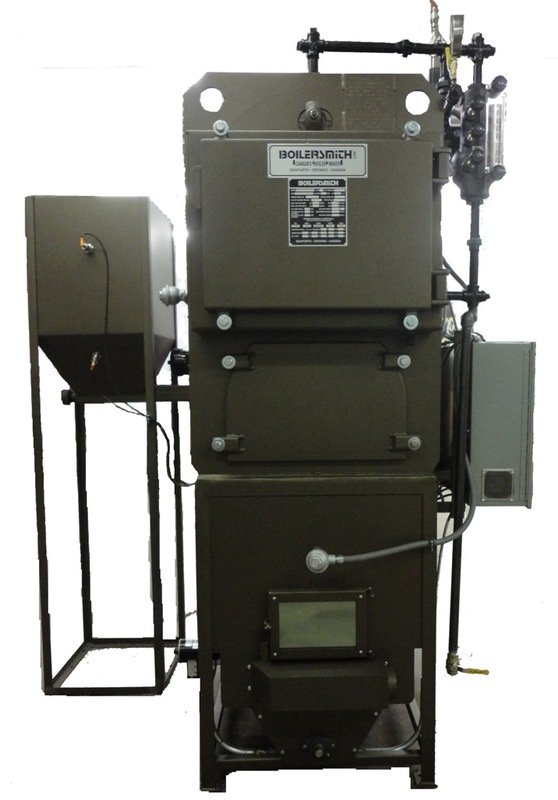 Our patent pending 500,000 btu/hr pellet fired furnace or boiler! We have developed a very efficient, very clean burning pellet fired furnace or boiler. Automatic ignition. The ultimate in flexibility for getting the type of heat you need: warm air, hot water or steam. The boiler is an ASME unit approved for all commercial applications. Fuel Flexible! You don't need Premium Grade Pellet Fuel. High ash pellets made from bark or Switchgrass can burn in this unit. It has optional automatic ash removal. Simple fuel systems. A small base footprint of only 3' by 3'. This unit can heat a poultry house a commercial building, or even a school. The control system can interface with your existing building energy system. We are now taking orders for this unit. WHAT DO YOU HAVE TO BURN? Oil is $100/barrel! Turn your waste into fuel to heat your facility, greenhouse, dry your lumber or generate your electricity. Our boilers burn wood, corn, pellets, coal (errr.. we can do it), flax,, cotton waster, rubber and other materials. What do you have to burn? We have a customer with a 10 Mbtu/hr boiler that we set up for wood chips. After a while, we noticed that he was blending in horse manure that he let air dry under cover. This fuel cost him nothing. Then the next winter he complained about his ash removal augers were occasionally tripping. The next time we got to his site, we knew why, piles of old pallets. I asked how much of the pallet nails the magnet on his grinder were picking up, he said about 50%. So 50% of the nails were making it through our fuel system and into the boiler then into the ash system. No wonder his ash augers occasionally tripped. But this client has the ultimate in fuel flexibility. He saves his greenhouse money because our boiler gives him the flexibility to burn multiple fuels. If you have been shopping or checking specifications for a biomass boiler, you may have come away with the impression that Americans do not know how to build these boilers. American manufacturers publish efficiency numbers using the Higher Heating Value (HHV) of the biomass fuel versus the Lower Heating Value (LHV). The difference between the two is the energy related to the water in the fuel. HHV gives the user a truer picture of the combustion energy necessary to generate the heat required, whereas the LHV is more of a theoretical number. The difference in the market is the LHV (European) shows a much higher efficiency that the HHV (North America). This summer when we were testing our new 500,000 btu unit, our efficiency number for this test came to close to 90% with the HHV and over 100% with the LHV. Something was skewed, but the point is if you are looking at a boiler from over the pond, ask for the efficiency numbers in HHV, you will be surprised. Our friends in Europe make some great equipment, but so do we! Our company has developed biomass burners that burn clean and efficient, durable, reliable and have the ultimate in fuel flexibility. Right now with the US dollar in the basement, ask yourself if you want to pay a premium, or get a unit that may be better, right here at home. 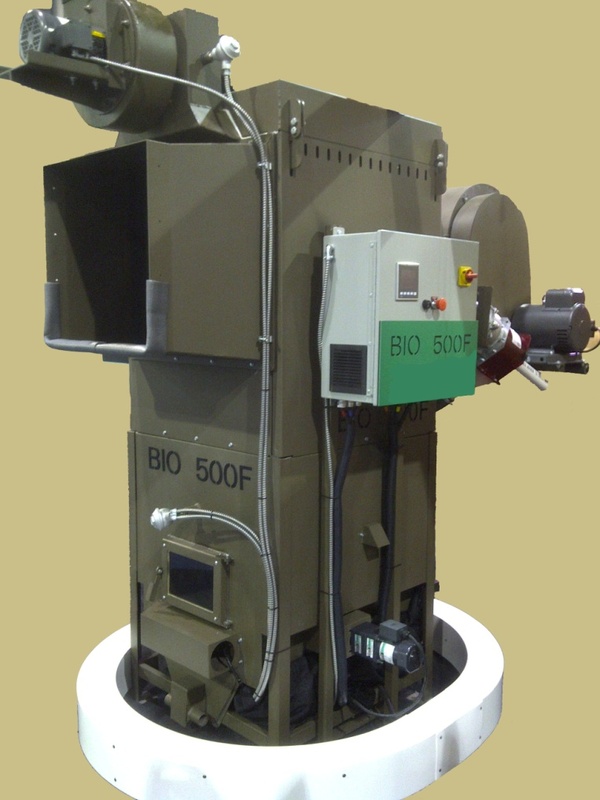 Biomass Thermal Energy Ltd. manufactures the most fuel flexible boilers in North America.